Bonnfinanz is a leading German financial advisor platform founded in 1970. Through its network of c. 500 independent agents across Germany, Bonnfinanz distributes a broad range of insurance, investment, saving, and financing products to more than 450,000 customers, mainly retail clients. As the oldest “Allfinanz” network in Germany, Bonnfinanz is recognized for its ability to offer objective and high-end advice as well as for the quality of its long standing partnerships with product providers. The company is headquartered in Bonn and employs around 40 people in Germany. CED is a leading, full-service insurance claim management provider founded in 1971. CED is focused on 3 main segments: Property, Mobility and Vitality. The strength of CED lies in its integrated proposition, which spans prevention, emergency response, claims handling and repair. 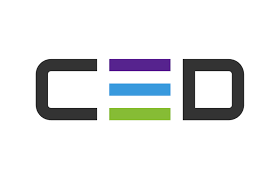 CED is primarily active in the Netherlands, Belgium and Spain with 1500 employees in 14 European countries and a customer base of more than 1.000 clients. The Group Nortia is a distribution platform dedicated to independent financial advisors (500+ IFAs) offering life insurance products, other wealth management products and securities accounts to mass affluent individuals (30.000+ end-customers). Founded in 1994, the Group employs c.200 people in Lille (headquarters), Paris and London. The Group is recognized for its ability to create innovative and high-end products as well as for the quality of their back and middle-office services to support IFAs. In 2008, the group benefited from the opportunity to expand its activity to the asset management, through the acquisition of Haas Gestion. In 2018, the Group acquired Sélection 1818 and APREP strengthening its position in the life insurance and securities accounts segments and becoming the leading distribution platform for financial advisers in France. Buckaroo is a Dutch full-service Payment Service Provider founded in 2005 in Utrecht, Netherlands. Buckaroo’s main focus is on the e-commerce and online market with a diversified customer base made of 4,100 merchants across a wide range of industries. Buckaroo acts as payment gateway and, depending on the payment schemes, also as collector for its merchants. It is a licensed Payment Institution regulated by the DNB and is able to operate across Europe. Buckaroo employs 60 people in the Netherlands. Rouaix Groupe is a French leader in the credit consolidation brokerage business. Its activity consists of consolidating, on one single loan, a sum of existing personal and/or mortgage loans in order to offer to the borrower reduced monthly repayments in exchange for a longer duration of the loan. Rouaix Finances was founded in 2000 by Eric Rouaix, its current CEO and is headquartered in Toulouse with a second back-office platform in Laon (North of France). The company has two complementary sourcing channels: retail bank networks and online and has strong relationships with the specialized credit institutions and several large retail banking networks. As an « Intermédiaire en Opérations de Banque et en Services de Paiement » (“IOBSP”), Rouaix Finances is regulated by the Autorité de Contrôle Prudentiel et de Résolution (“ACPR”). With c. € 25 Bn AuM, FundRock is the largest independent investment fund management company (3rd party ManCo) in Luxembourg, providing risk and compliance services for UCITS and AIFs funds. The company has a well-diversified client base including a large proportion of Tier 1 asset managers and banks, mainly in the US, the UK and Asia. FundRock provides Funds with the necessary substance in terms of infrastructure, resources and minimum required capital and monitors the fund’s core service providers: investment manager, central administrator, global distributor and transfer agent. It supports the funds distribution in 24 countries, 18 of which are European. The company is regulated by the Commission de Surveillance du Secteur Financier (“CSSF”). 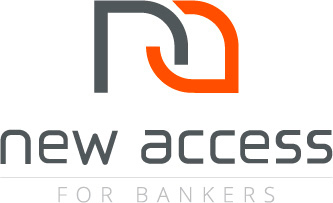 Founded in 2001 by Alexis Sikorsky, New Access provides agile and scalable Front-to-Back software solutions dedicated to the private banking and wealth management industries. New Access software solutions are designed to meet the specific requirements of the private banking and wealth management industries. In a complex and changing regulatory environment, the company helps bankers connect conveniently and efficiently with their clients anytime and anywhere they need. The company is present on a global scale with offices in Switzerland (headquarters), Singapore, the USA, Brazil, Tunisia, Luxembourg and UK. Located in France, Santiane Group is an insurance firm specializing in health insurance brokerage for individuals and companies. The Group relies on two core activities : direct-to-customer insurance brokerage – through Santiane.fr – and insurance wholesale – with Néoliane. In less than nine years, Santiane Group has become the largest health insurance broker in France. The company is located in Paris and Nice and employs about 240 people. Descartes Underwriting is an Managing General Agency that leverages many new sources of data to build new insurance products covering large risks such as flooding, wildfires, droughts and other large-scale events that can adversely effect the course of business for companies worldwide. The contract provides for an automated claims payout workflow, thus reducing insurers’ claims handling costs. FRISS is the European market leader in analytics software for fraud, risk and compliance for P&C insurers. Its award-winning platform delivers a reliable risk indication, the FRISS Score, to over 130 insurers across 26 countries. Based on AI and machine learning techniques, the FRISS Score indicates the risk for each quotation, policy or claim, increasing straight through processing (STP) and supporting digitization. FRISS aims to make this score the global standard for honest insurance – sincere customers would no longer have to pay the consequences of the opportunistic or criminal behavior of others. Primonial Group is the leading French independent investment manager. Managed by André Camo, the group specializes in all aspects of wealth management, selects, combines and distributes comprehensive solutions to wealth managers and their clients. Its main business segments include residential property and real estate funds, life insurance and annuities, structured products and asset management. Founded in 2005 in Paris on the basis of JP Morgan’s French retail activities, the group nows employs 550 people. AMfine is a provider of regulatory software created by Michael Priem in 2006. AMfine’s software solutions enable asset management companies to automate the production, the control and the distribution of regulatory, tax and financial reports, such as KIID (Key Investor Information Document), fund prospectus, management reports, as well as AIFM and FATCA reports. AMfine offers a large range of software solutions to address these needs, under the brands AMfine Prospectus, AMfine Report and AMfine Price. AMfine employs about forty people in Paris and in Luxembourg. Founded in 1970, LSA is a leading French online insurance broker, distributing niche motor insurance products with a particular focus on “non-standard” risks (i.e. young and defaulting drivers among others). Assurpeople.com has been launched in 2007 as the online platform of the LSA Group. Assurpeople covers the whole value chain for online insurance products including distribution, contract management and claims, both for its own account and for third party clients thanks to a state of the art and proprietary IT platform. The company currently employs more than 120 people and manages approximatively 90.000 contracts on behalf of some of the biggest insurance companies operating in France. NeoXam is a leading provider of investment accounting, investment management and data management software solutions. Its customers base is made of large and medium asset management firms, investment banks, institutional investors and securities services providers. NeoXam was created in 2014 following the carve out of two software programs, GP3 and Decalog, from SunGard, realized by BlackFin and the management. In 2015, NeoXam acquired Smartco to reinforce its data management offering. Headquartered in France, NeoXam has a strong presence in Continental Europe, China, South Africa, and in the US. 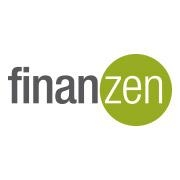 Finanzen.de is the leading European online marketplace for retail customer leads in the finance and insurance sector. The company connects lead generators such as online price comparison sites with lead buyers such as independent financial advisers and insurance companies. More than 800,000 leads are annually traded via its proprietary and industry leading technology platform, using real time auctions and real time lead delivery. The company also acts as online broker for P&C insurance products. Thanks to its scalable business model, finanzen.de is ideally positioned to benefit from the digital shift occurring in the European insurance and banking space and to capture the significant market potential ahead. Cyrus Conseil is a leading independent wealth manager providing advisory services, asset management and real estate investment solutions with nearly €3.0b Assets under Advisory and more than 7 300 clients. The Group provides customizes consulting services and investment solutions to high net worth clients (entrepreneurs, senior executives, wealthy families), in accordance with their strategy. Life insurance products giving access to a selection of funds and asset managers in France and abroad. Structured products specifically designed for Cyrus Conseil by specialised external partners. A wide range of real estate investment solutions slected by the group’s specialists. 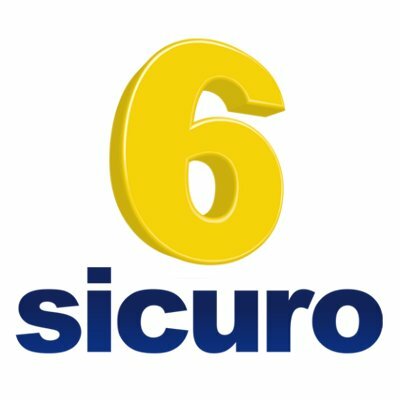 6Sicuro, merged to Chiarezza in July 2018, is an Italian online aggregator specialized on the insurance and energy sectors. The website is directly linked to insurers’ pricing software, and displays their quotes directly sorted by price and characteristics depending on the requests of Internet users. 6Sicuro then enables Internet users to subscribe online insurance policies via the insurers’ website or by phone via their call centres. 6Sicuro is the 3rd Italian insurance aggregators. The market is a fast-growing, stimulated by the development of direct insurers and the increase in market share of the Internet channel in direct insurers’ customer acquisition. Comparadise is a French online agreggator specialized on the financial products. Comparadise offers free online services that enable Internet users to compare a wide range of insurance and credit quotes for individuals and SME. The aggregators are directly connected to insurers and banks’ softwares that price premiums, and display real-time contracts, sorted by price and characteristics. Internet users can then purchase insurance policies online or by phone via call centres of insurers or credit institutions. MisterAssur, KelAssur and HyperAssur are generalist insurance aggregators offering auto, motorcycle, pets and health insurance quotes to Internet users, as well as niche products. Mutuelle Conseil is an online aggregator specialized in individual and collective health insurance. Kredity is an online aggregator specialized in consumer credit, debt restructuring and online banking. Kepler Cheuvreux is the leading independant brokerage house specialized in the primary and secondary European stocks and bonds markets, resulting from the merger of Kepler Capital Markets and Cheuvreux in April 2013. The company has a strong entrepreneurial culture, both management team and employees are shareholders. The management team is skilled, experienced and has successfully built strong relationships with institutional investors. Kepler Cheuvreux benefits from strategic partnerships with CA-CIB, UniCredit and Rabobank and is recognized as the alternative to global players. YouTransactor is a French digital merchant service provider, designer of the uCube, a fully certified mPOS device, and the uCube 100, a professional smartphone certified for payments. These payment terminals are integrated into uCloud, an end-to-end turnkey solution for merchants to accept customer-present banking card payments. YT thrives on offering sophisticated and affordable payment acceptance solutions integrated in third-parties business applications. Headquartered in Paris, France, YouTransactor is one of the world’s major supplier of Chip & PIN mPOS terminals and employs 35 people. Applicam is a specialist in multi-service card systems. It assists businesses and local authorities with tailor-made e-money solutions. Applicam boasts unique expertise in designing and using e-money solutions, spanning a variety of services and media. Over the last five years, Applicam has considerably enhanced its service offering by developing an innovative, multi-service e-money platform that is compatible with a variety of media (paper, card, mobile) and channels (paper, web, mobile). As a result, it is now a leader in managing funding and subsidies for local authorities, fuel cards in Africa and for local authorities with its various platforms, such as, for example, access management for sports and leisure centres. Moneo Resto is the first offer of electronic meal vouchers on a credit card launched in France. It has a portfolio of around 1,500 corporate clients, of which 90% are SMEs, for a total of 65,000 employee users. Owliance is a leading independent outsourcing platform, focusing on health and general insurance with onshore and near-shore platforms. The group operates on behalf of a variety of clients encompassing insurance companies, mutual health insurance providers, employee benefits institutions and insurance brokers. The company is specialized in Insurance Business Process Outsourcing (BPO) (premium collection, reimbursement of medical expenses, customer services), ITO (licensing, Software as a Service and Project management. Historically specialist on health insurance BPO, Owliance has widened its platform and entered 2 key industries. The property and casualty (P&C) insurance industry with the acquisition of Telergos in 2011 and the health insurance industry with the acquisition of Mutua in 2013, a service provider with a strong footprint among mutual health insurance providers, which enabled it to expand into the collective health insurance market.